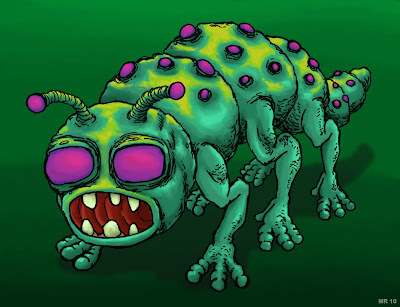 Vorapillars are overlarge, ground dwelling animals. Specimens of seventeen feet or more have been recorded. Vorapillars are voracious eaters, and will consume any plant or animal which is smaller than them. They are often herded and used by other races to process garbage and refuse piles.